If you want to learn about the cultures, societies, religions, literatures, histories, politics, economies and international relations of this dynamic region, then East Asian Studies has a wide range of undergraduate degrees to suit you. You can study Chinese, Japanese, or Thai to an advanced level while gaining a firm understanding of the historical, cultural, political, social, religious and economic contexts in which these languages are spoken. 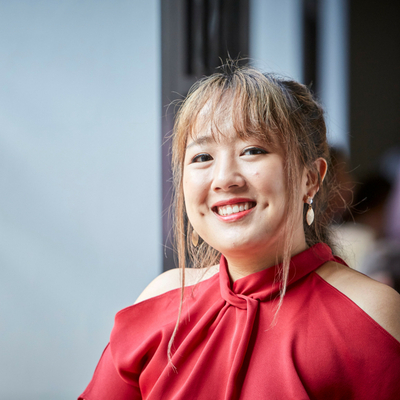 You can focus on one subject area, or study two subject areas in a joint honours course – either within East Asian Studies or combined with another subject from across the University. The University's Language Zone has a range of resources, including books, magazines, audio and video resources, in over 50 languages and provides additional opportunities to practice your language skills through workshops, language exchanges and language groups. We have more than 25 academic members of staff including many native speakers of Chinese, Japanese and Thai. We have regular lectures and seminars given by visiting scholars, writers and other cultural practitioners from East Asia. Our stimulating learning environment enables you to develop your interests in the region and equip yourself with a wide range of sought-after skills. We introduced Chinese Studies at Leeds in 1963. In the more than 50 years since then, we have grown into one of the largest centres of East Asian Studies in Europe. We are a vibrant scholarly community with students and staff from a variety of backgrounds and from all over the world. Our book collection provide an invaluable resource for studying and includes Chinese texts, books on Thailand (provided by substantial support of The Royal Thai Embassy, London) and collections on Japan (with substantial contributions from The Japan Foundation and the Great Britain Sasakawa Foundation). "Without a doubt, the year abroad in Japan was one of the most memorable experiences of my life. I saw my language level sky-rocket and I made many friends and connections all around the world. This now means free accommodation wherever I travel! Moreover, I found a second home in Japan."